That is one incredibly short dress she's wearing... not that I'm complaining. Synopsis: It has only been three months since Nagi has been living in the Violet Mansion -- the same three months that she has been away from her affluent life in the Sanzen'in estate, but already, she has begun to realize just what it is she has lost by regaining her inheritance and therefore, the right to move back into the Sanzen'in estate and retake her former billionaire heiress lifestyle. 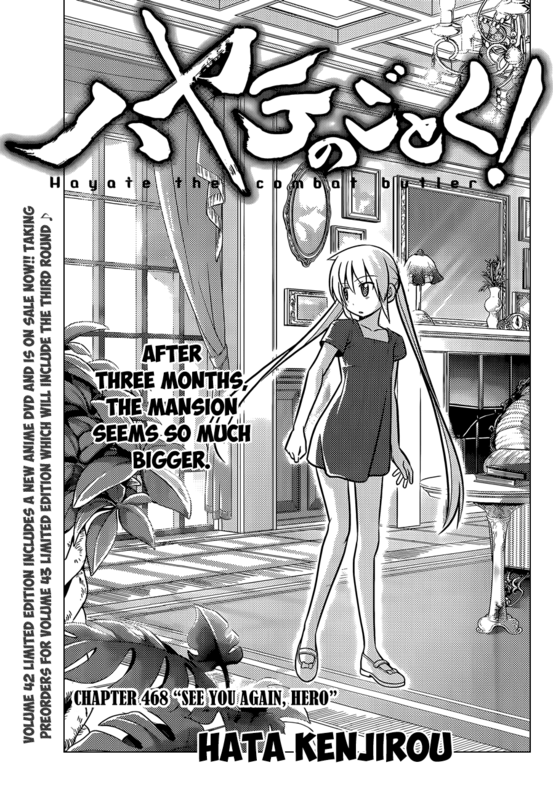 The mansion is big and luxurious -- a little bit too big for one lonely little girl. 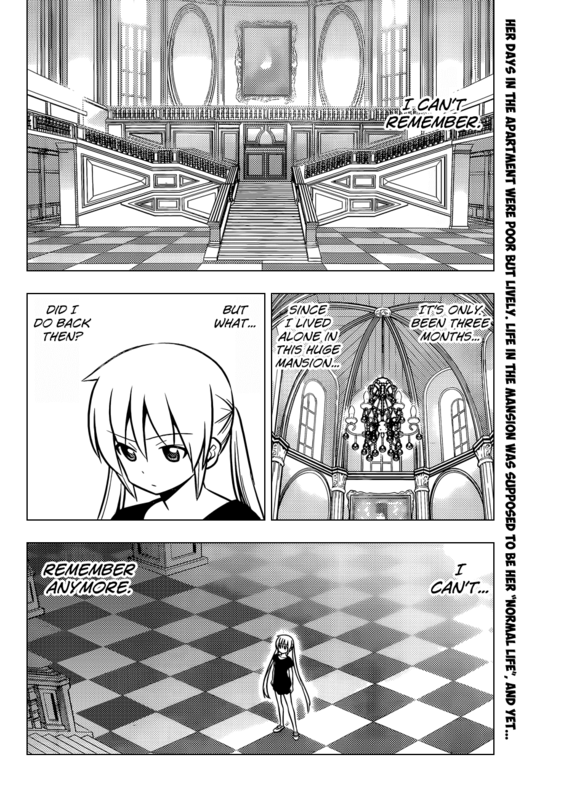 Just as she is coming to terms with this, Maria and Hayate return. 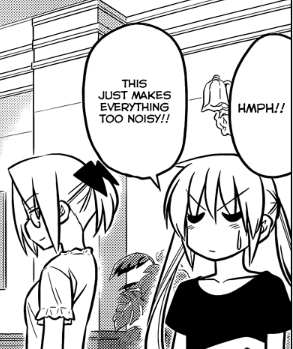 She wants to help out with their respective tasks, but Hayate gently chases her away and Maria won't have any of her "help" given her track record -- which she just made even worse with her enthusiasm by breaking a few expensive ornamental decors here and there. Dinner is served and while Nagi is amazed at how luxurious the food that Hayate can prepare here is when compared to the Violet Mansion, she is still a little bit lonely and invites Hayate to eat with her, but Hayate is a butler and he has to serve his role -- as such, he politely declines again by saying he has to prepare dessert. I chuckled when she referred to Athena as "that little one." 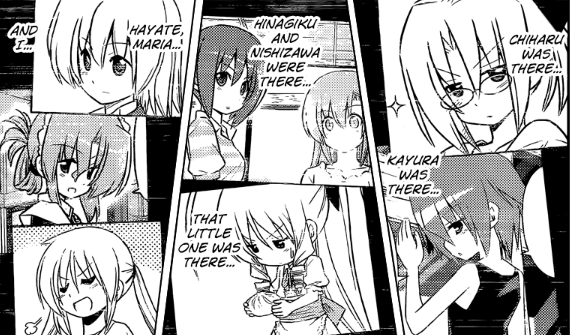 Nagi tries to appease her loneliness by telling herself just how good the food here is, but she knows that deep down, she's really just in denial... however, just as she's about to burst into tears, Hayate comes in and asks her if she didn't like the food. Nagi says that it's not about the food, it's just that she realizes that what is truly valuable is something you can't buy (clap! clap! ), but before her speech can get anymore emotional, Chiharu suddenly takes the strawberry from her dessert and to Nagi's surprise, everyone from the Violet mansion is here for a visit. She pretends to get all annoyed that they'd pay such a sudden visit here, but the final panel belies her true feelings. Review: A nice, sweet Nagi chapter here. More Nagi character development is always good. It's great to see just how attached Nagi has become to her friends and her life at the Violet Mansion -- even going as far as to volunteer to help with Maria and Hayate's respective tasks since presumably, she had to do that back in the Violet Mansion -- although how efficient she actually was is still a bit questionable -- regardless, her heart's in the right place. Really loved every moment of this chapter, but there's not much to mince words on. I liked the level of melodrama here with Hata's usual push and then pull strategy. It looked like Nagi was on the verge of tears and was just about to make a solemn, heartfelt speech about "what is truly valuable," but then Chiharu and the other Violet Mansion tenants burst in at just that moment to lighten the mood a bit. 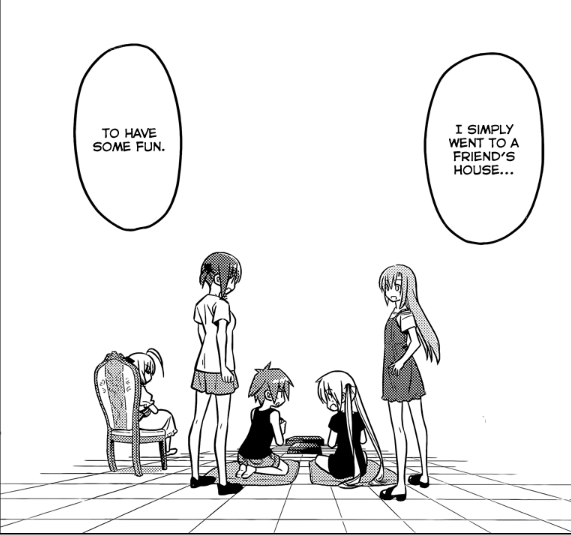 Really, these sweet, charming moments are what really sold me before on Hayate no Gotoku! rather than the love polygon subplots, the King's jewel storyline or any of Hayate's combat-butler-esque antics. While moments like these -- such as the arc enders starting with the Shimoda arc few and far between, they are what I look forward to the most when reading this manga. Sure, I'd eventually like the romantic angle to be resolved in Nagi's favor, but that can wait for a long time if we keep getting sweet, charming moments like these every now and then. Everyone, including Nagi knew that she was just in denial the whole time. I suppose all that's left now is for the CTMEOY/Cuties setup of Nagi alternating between living in the Violet Mansion and the Sanzen'in estate so she can be with her friends in the Violet Mansion and still retain a part of her former heiress lifestyle. Also, this is definitely a different Nagi that we're seeing here from the spoiled heiress Nagi from several hundred chapters ago. She still has that streak of tsundere every now and then, but that just shows that Nagi is still Nagi after all. Fanart corner: No speculation corner for today. I'm just totally elated about this current chapter. With that said, I've made a PS Vita startscreen and a few Homescreen wallpapers featuring my Nagi fanart here. Check em out and feel free to use them if you want. While it is a great revelation for Nagi, I do have the feeling that things need not be this sentimental had Nagi agreed to Ayumu's idea of having a farewell - or even better, a moving in party at the Sanzen'in Mansion. What we might have underestimated is the transition from a small (?) apartment full of friends to a virtually empty big house. The huge difference would increase the loneliness by 10 folds. Anyway this might finally explains why Nagi takes the "trouble' of moving between the big house and the small house in the anime. She literally has the best of both worlds. That's true about the farewell party. 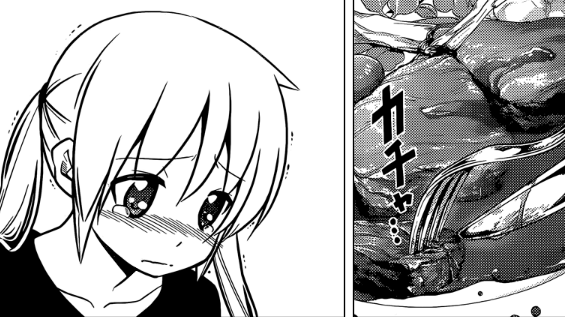 It almost seems as if Hata had her refuse on purpose just so he could show off her tsundere side a bit in this chapter. And yeah, I agree that this could be a setup for Nagi's new lifestyle in the anime. I did think this chapter was really cute, and has showed how nagi has matured. I kinda doubt though that she did any chorses during staying at the violet mansion, since Maria still doesn't seem to trust her at all when it comes to helping, for good reason. 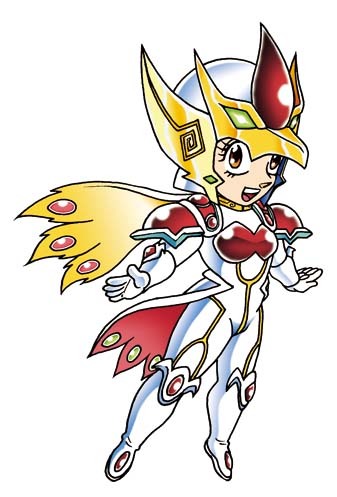 As a side note, i dont remember if it was ever exactly explained, but why did maria continue to work for Nagi during her time without money, since she obviously wasn't being paid during the time, and she could easily find another job if she needed to with her skills and....'assets'. It does increase her mysterious in her past, and why exactly she is working for nagi at all at her age. I think I've got a pretty sound theory for Maria's motivations: She wants to believe that Nagi needs her to play as the "mother figure." I'm getting this from the way she reacted when Chiharu blocked her from trying to comfort Nagi when she was on the verge of giving up during the mangaka arc. Maria seemed more shocked than happy when Nagi was able to overcome her depression on her own without needing her. I think this is going to be addressed in the final arc of the manga. In other words, Maria still needs to overcome her shadow and face her true self so she can use... PERSONA! 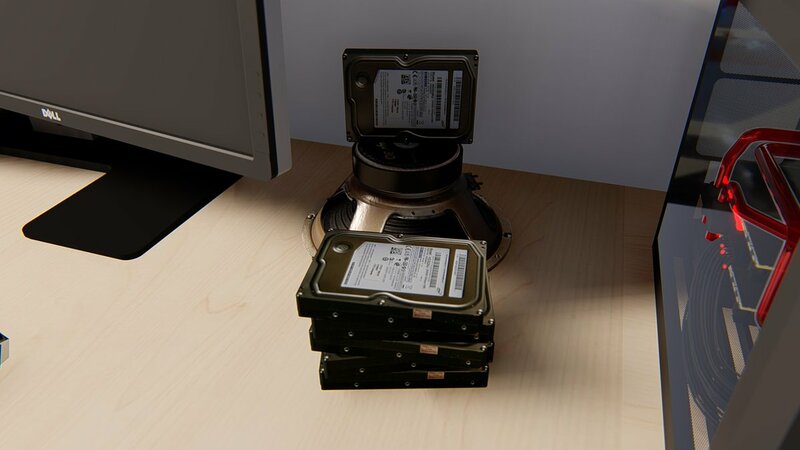 ... ahaha, dun mind me. Just rambling.